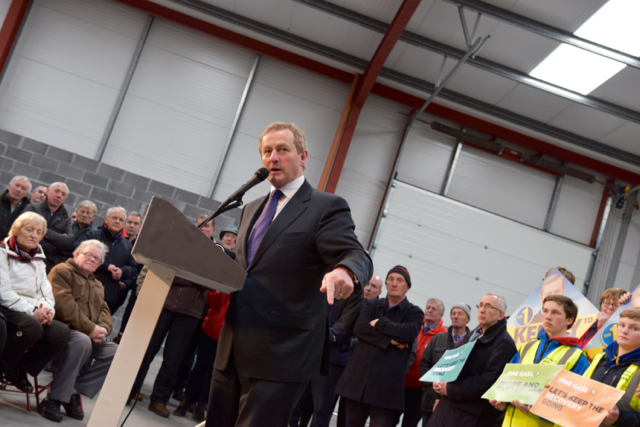 CASTLEBAR — It was a home crowd, a backslapping gathering in the town in western Ireland where Prime Minister Enda Kenny made his first foray into national politics four decades ago. Coming less than a week before Friday’s parliamentary elections, Kenny’s undiplomatic outburst astonished many in a country where, despite recent growth, many people are struggling seven years after a devastating economic collapse that put 300,000 people out of work — a parallel collapse to the U.S. subprime catastrophe — and which prompted devastating cuts to health and social spending. According to the European Central Bank, the Irish shed more of their personal wealth than any other eurozone country in the aftermath of the 2008 financial crash, which ravaged several European economies. The ECB calculated that on average $20,000 per person was lost in Ireland, more even than in Greece, where turmoil threatened to undermine the wider European economy. 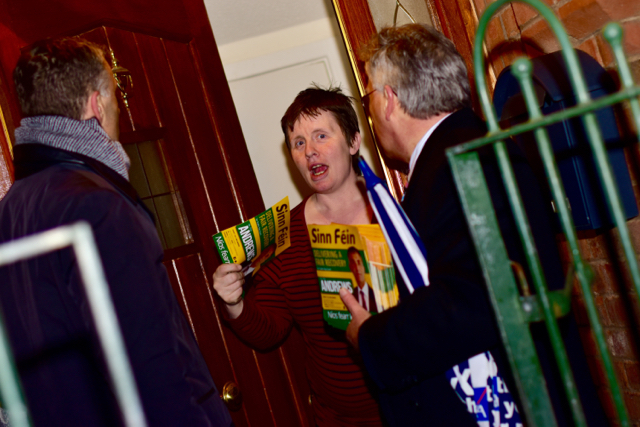 But Mary Joyce, another resident of Kenny’s hometown, said the prime minister — known in Ireland as the taoiseach — inherited a mess and should be commended for the progress made during his five years in office. “It was a horrible situation he came into and he had to make very difficult decisions,” she said. After years of austerity policies dictated in part by the European Union and the International Monetary Fund, Ireland’s broader economy has recovered on Kenny’s watch, with official statistics showing exports increasing by 20% in 2015, and the trade surplus rising to a record $48 billion. Official unemployment numbers have been cut in half from a high of over 15% at the bottom of the economic meltdown. However Kenny’s abrasive campaign comments have eroded his prospects of remaining in office after the vote, opening the door for other parties to accuse him of “arrogance” and of being out of touch. 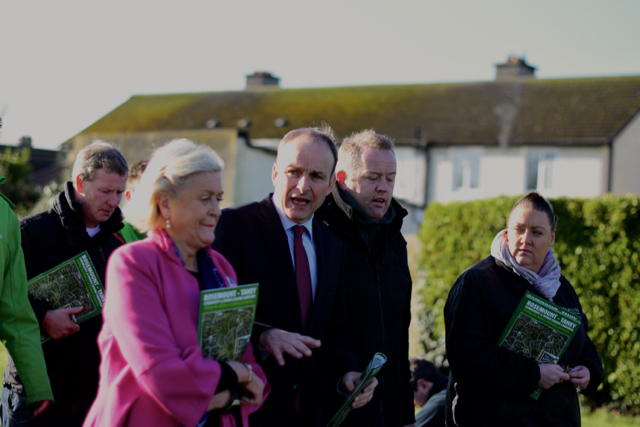 His main rival, Micheal Martin, the leader of the center-right opposition party, Fianna Fail, is confident of regaining some of the ground lost when the party was routed in the last election, in 2011, after being widely blamed for the 2008 crash. That paved the way for Kenny’s Fine Gael, also on the center right, to take office. 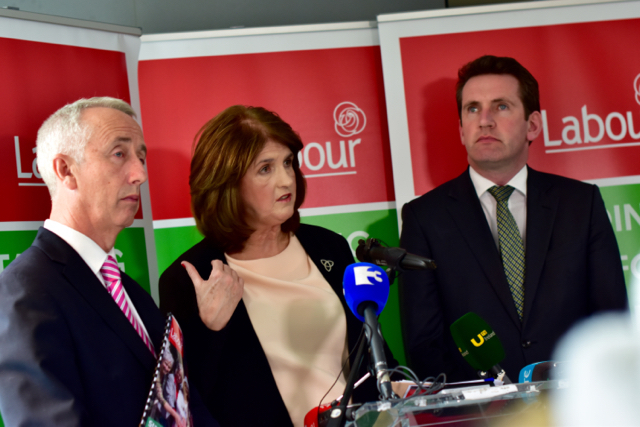 Campaigning in capital Dublin, Martin said that voters had shed their anger at his party. “We will do well in this campaign and we are very competitive,” he said in an interview with The Times. Martin’s party has dominated Irish politics for most of the century since the Republic of Ireland won its independence from the United Kingdom, but was accused of being in cahoots with property developers and bankers in fueling a disastrous real estate bubble. Simmering discontent with Ireland’s established parties is leaving Sinn Fein, the party linked to the Irish Republican Army, among the best placed to succeed. Sinn Fein’s popularity has surged since a 1998 peace deal in British-ruled Northern Ireland and the end of the IRA’s bombing campaign in British cities. It is likely to capture around 20% of the vote on Friday, an outcome that could see it emerge as Ireland’s second-biggest party. The election comes less than two months before the centenary of Ireland’s 1916 “Easter Rising” against British rule, which paved the way for independence for most of Ireland a half decade later. But the commemorations have not figured in voter concerns, which center around economic issues, and it is Sinn Fein’s leftist economic policies — mocked by Fine Gael and by Ireland’s business leaders — that are seen by urban working classes as more in touch with their needs than the centrist and pro-business stance of the main parties. With no party likely to win near enough seats to form a government, a coalition government is almost certain. Both Fine Gael and Fianna Fail have ruled out governing with Sinn Fein, disdaining both its economic policies and its links to the IRA. Candidates who have criticized Sinn Fein during the campaign have claimed to have received anonymous death threats. And though smaller left-wing parties have signaled they will align with Sinn Fein after the election, no single party or grouping is capturing the imagination of voters. 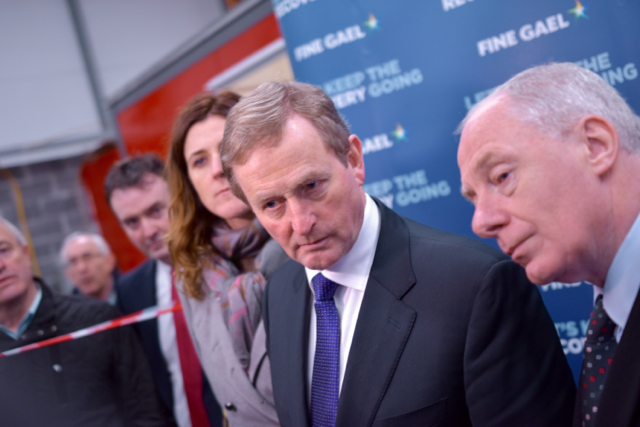 With the possibility that no clear winner will emerge from the election, there are suggestions that the two biggest parties — Fine Gael and Fianna Fail — could end up forming a coalition. 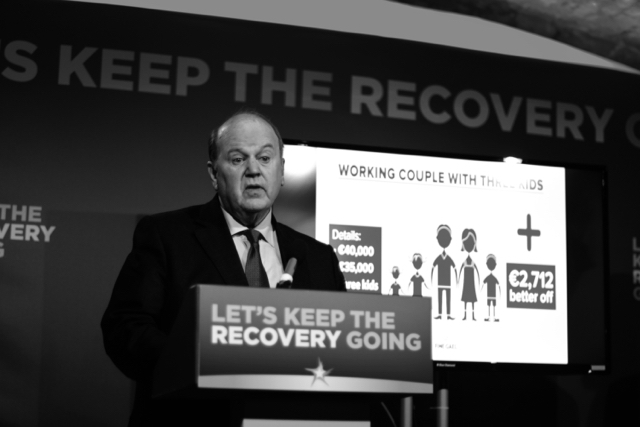 But such a partnership would hardly be popular among voters still angry over the economic crash and who see Kenny’s “whingers” remark as symptomatic of an aloof administration. It all means that Ireland could emulate other European crisis economies such Greece and Spain, both of which have held inconclusive elections in recent years and have struggled to form a stable government. “Somewhere between 18% and 20% of voters are undecided, maybe as many as 30%,” said David Farrell, a professor of politics at University College Dublin. “It means that we cannot predict the outcome of the election.